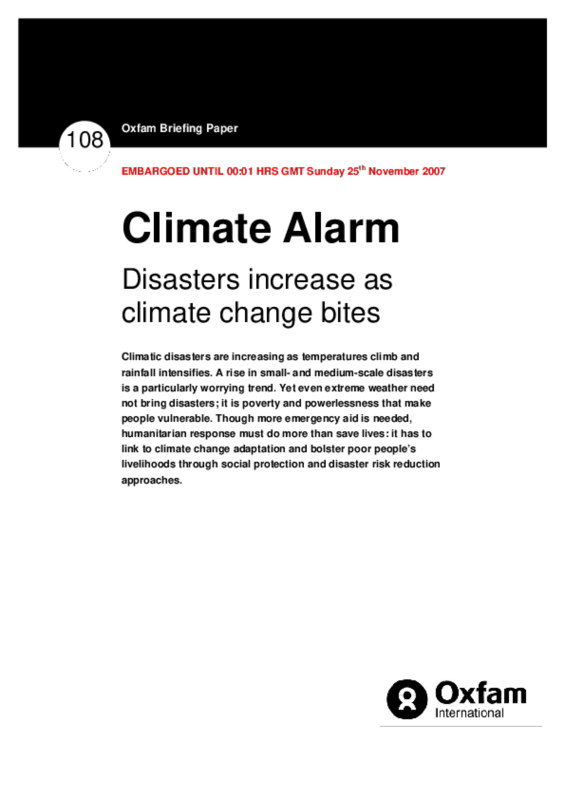 Climatic disasters are increasing as temperatures climb and rainfall intensifies. A rise in small- and medium-scale disasters is a particularly worrying trend. Yet even extreme weather need not bring disasters; it is poverty and powerlessness that make people vulnerable. Though more emergency aid is needed, humanitarian response must do more than save lives: it has to link to climate change adaptation and bolster poor people's livelihoods through social protection and disaster risk reduction approaches.